Bethenny Frankel got tired of her Countess Cut and changed her hair up again! Bethenny stepped out to celebrate her new Skinnygirl Watermelon Lime Margarita and showed off her new darker, shorter haircut. It looks a little Anna Wintour, no? The Real Housewives of New York star loves to dress to match the occasion (usually in black, white and red to match her Skinnygirl logo) and so she went with shades of watermelon and even accessorized with a watermelon slice clutch. She also accessorized with her permanent sidekick, Carole Radziwill. Check out the photos of her even below. 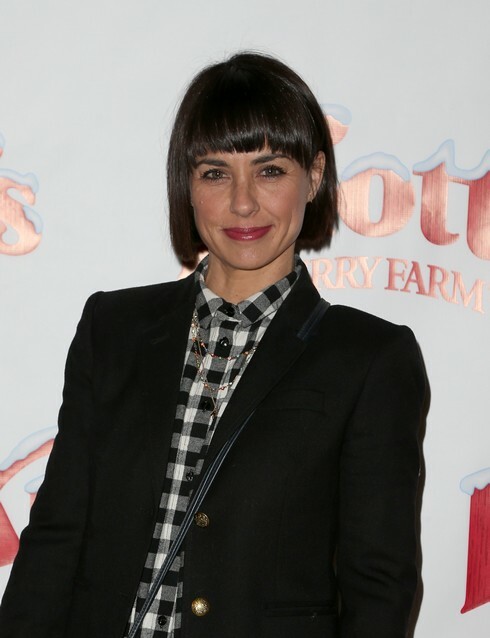 A few of you commented that she now looks like Constance Zimmer (Quinn from UnReal) – do you agree?